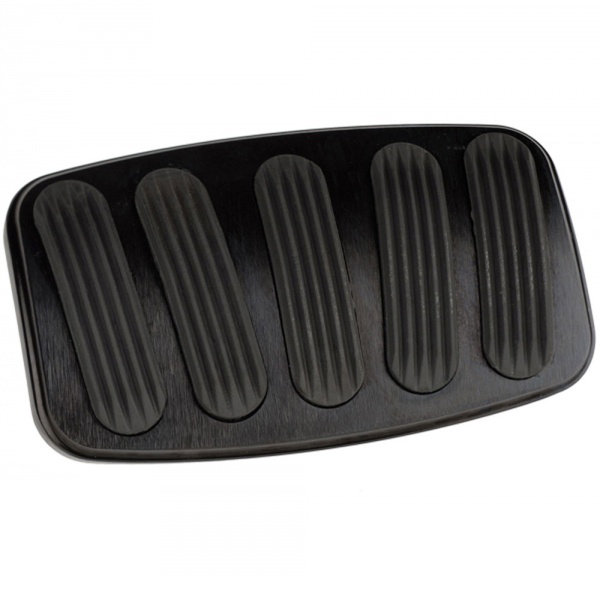 Stylish BLACK Billet Aluminum Large Brake Pedal Pad for 76-77 Ford Broncos with Automatic Transmission. This brake pedal pad includes rubber grips in the center to hide the mounting hardware and provide a comfortable, no-slip grip on the pedal. Also fits 1973-79 Ford F150.